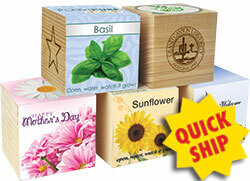 Brighten up your Player's Spring with innovative seed mats, seed paper & plantcubes! 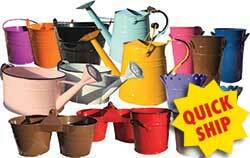 Wonderful metal bucket & pail garden gifts for your Players! 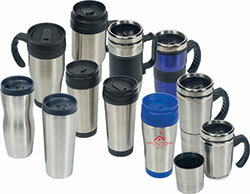 Your logo can be molded into the bottom. 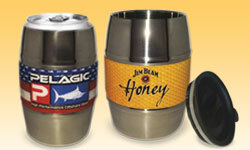 You can also include a bottle opener! 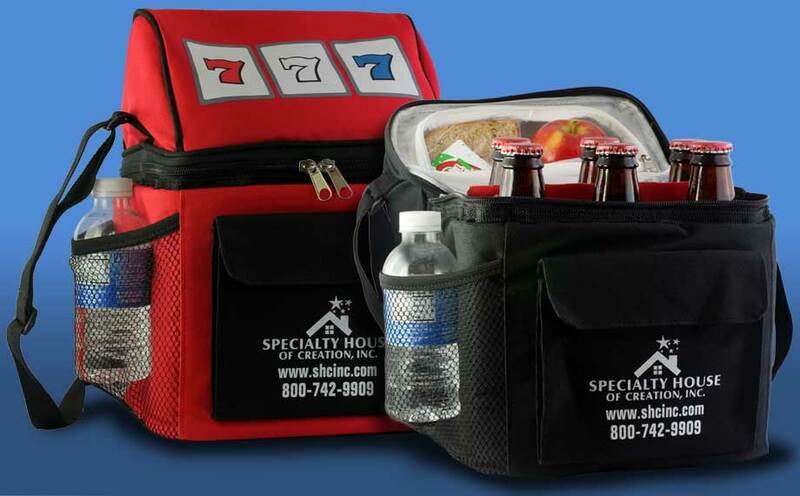 Great new tailgating equipment for those baseball & football games! 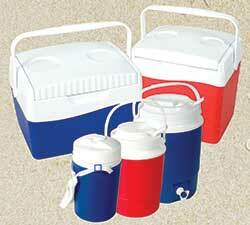 Great coolies, coolers and cups! 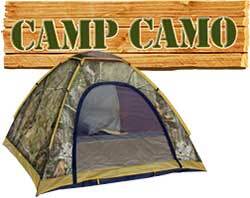 Can be used year round! 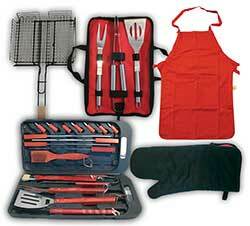 Get your Players Cookin’ with BBQ Equipment! 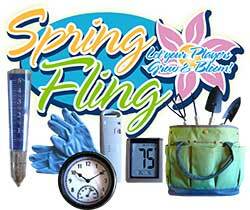 Great multiple visit giveaway! 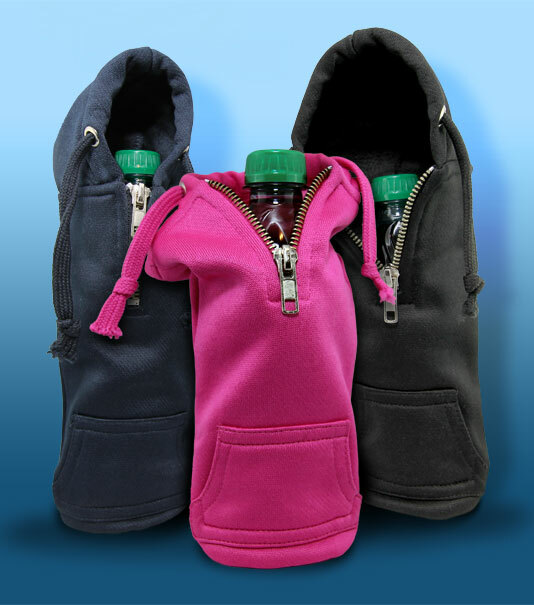 Fun and functional, bottle hoodies keep your beverage cool. 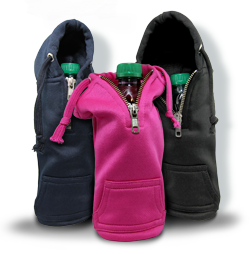 Real zippers and pockets give an authentic “hoodie“ look, the drawstring can also be used to attach the bottle to a belt or backpack! 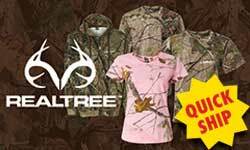 Available in black, dark blue and pink with you logo custom imprinted on the front. 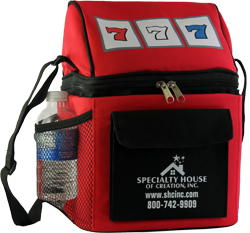 Soft sided “Slot Machine” coolers are available in red or black with your casino’s logo printed on the front pocket. 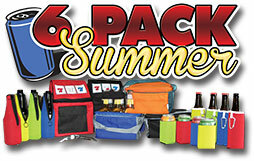 8"x12"x6", hold an entire six pack plus room for snacks. 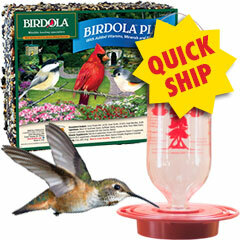 Great gifts for your Player’s enjoyment at home! 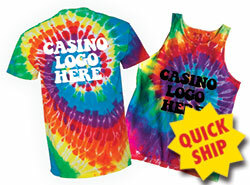 Great new Dye-NO-Mite Tees & Tanks! 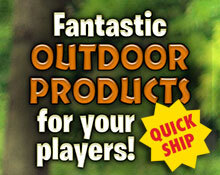 Fantastic for your Players to re-live the 60's & 70's! 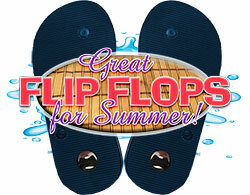 Keep cool with these Hot Deals on Coolers! Let your Players grow & bloom! 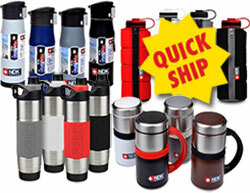 Great garden tools for multiple visit giveaways! 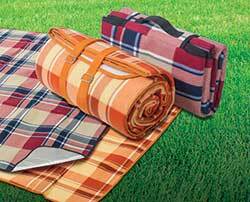 Give your players some great picnic equipment! 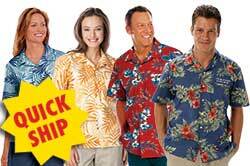 Perfect for those spring and summer outings. 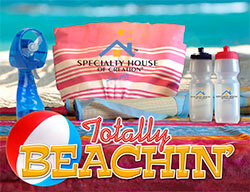 Outfit Your Players with Colorful Beach and Pool Gifts! 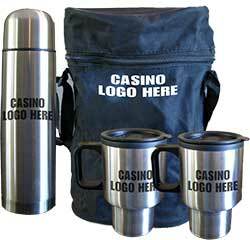 All gifts can be imprinted with your casino logo. 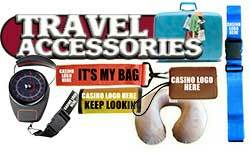 Customized Tote Bags - Players will show off your Casino Totes to everyone! 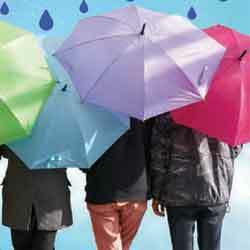 Your players will be singin' in the rain with these custom umbrellas! 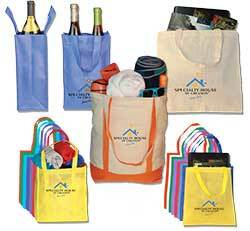 Your logo will be custom imprinted on the umbrella. 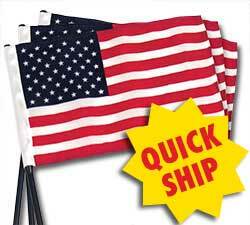 Perfect for Memorial Day, Flag Day, 4th of July and Labor Day!